Hi everyone! Welcome back to day 3 of Stamp Highlights! 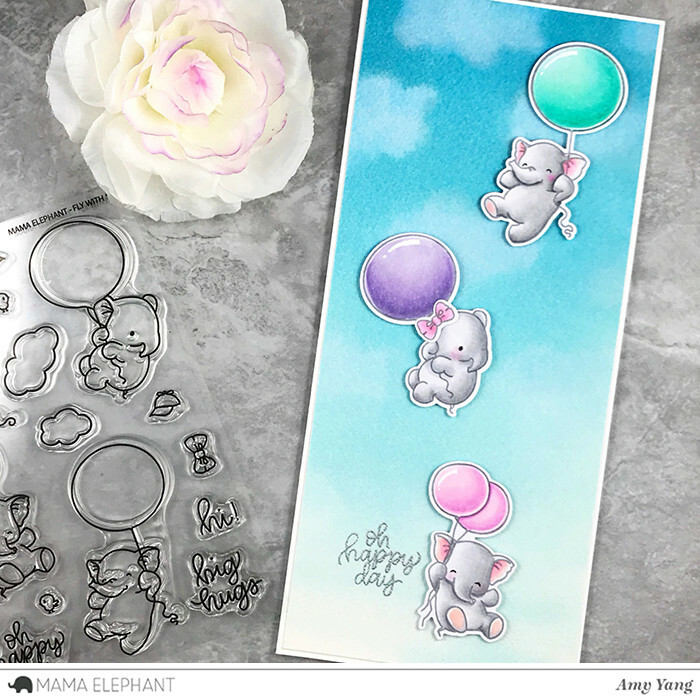 Today we are looking at Aida's adorable elephants in the Fly with Me stamp set! We adore Anna's little shaped card! 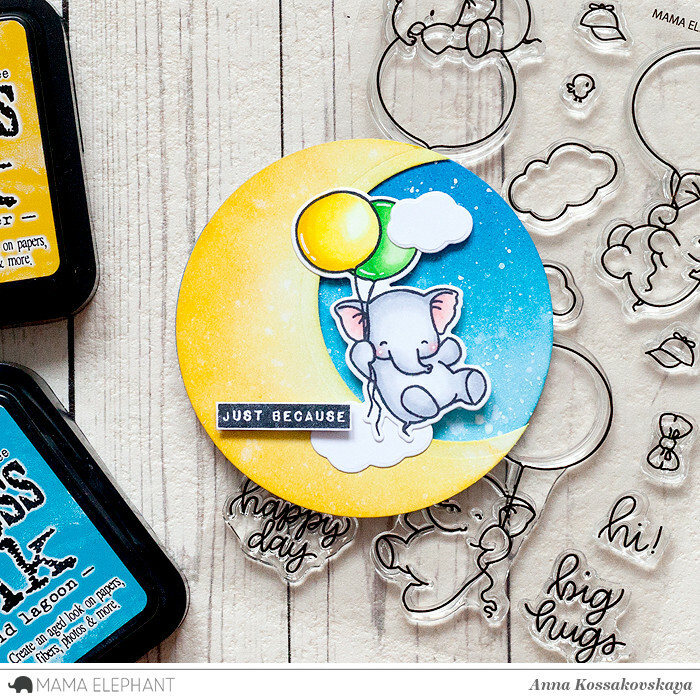 What a sweet idea with the elephant flying to the moon! Amy's card is so sweet! She water colored the sky and stamped the images with gray ink to give them a softer look. We love Laura's sweet & simple design. How cute is Pamela's card! 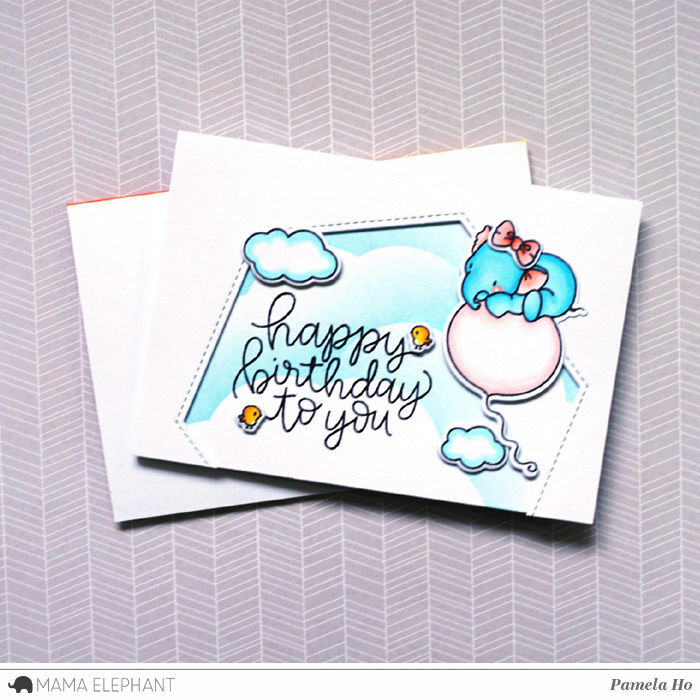 We love her cloudy background paired up with little elephant on the side! Oh Happy Day card by Vera with the big cloud from Cloud Nine Creative Cuts. 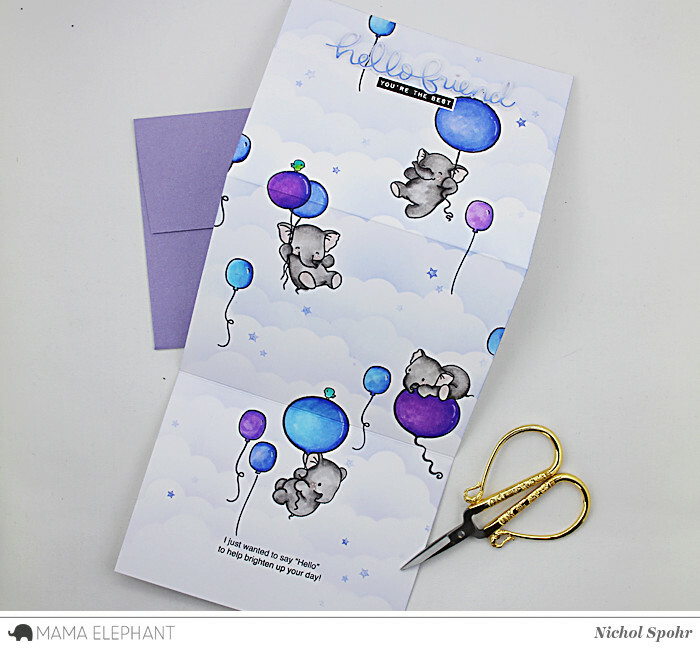 A tri-fold card is the perfect way to showcase an extra long scene card with these adorable floating elephants! I absolutely LOVE this stamp set and all these cards displayed here! Each is cuter than the other! LOOK at these beauties!!! What creativity and those images are lovable, just darling! This is such an adorable set! Fabulous samples from the designers! Wow, all the samples are so fabulous. 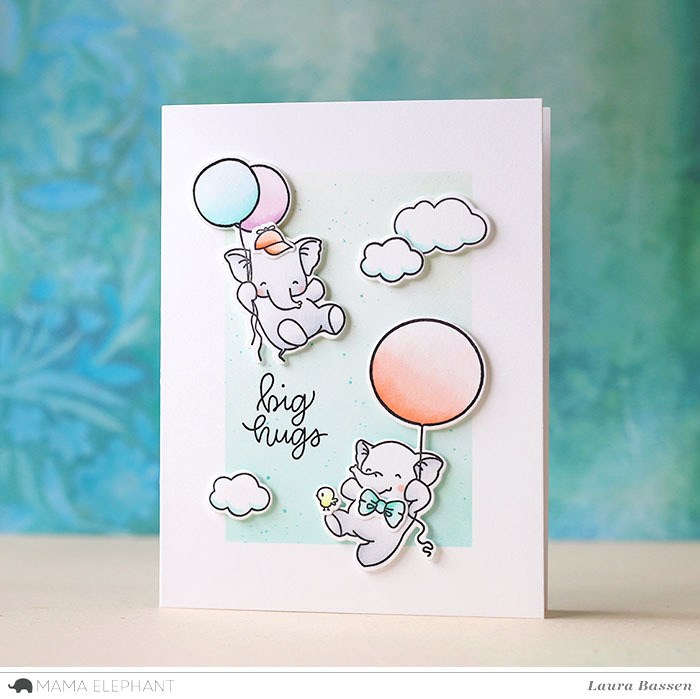 Love, live, love these adorable floating elephants. What absolutely adorable cards and images. Great samples by everyone. How sweet are all these cards !! And what about this big lovely cloud ? Such darling little Ellie's, so super cute, can't wait to have a go with these. Oh my gosh these cards are so darling and the elephants are so cute. I love the clouds too.